Follow Celine and Tucker as they learn through play! Challenged to make something “other than trouble,” this brother-and-sister pair use everyday objects to invent toys that readers can build. 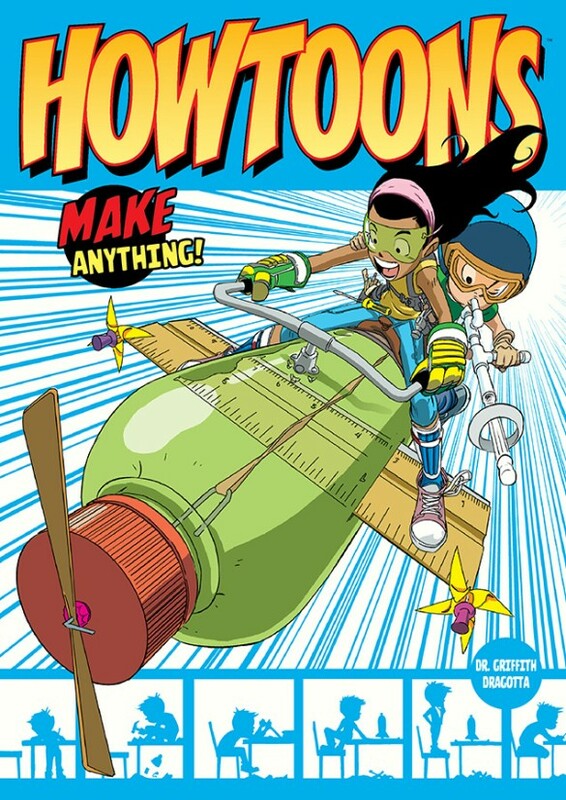 Combining comics and real life science and engineering principles, Howtoons are designed to encourage kids to become active participants in the world around them. Celebrating its 10th anniversary, this remastered collection will contain the “best of” HOWTOONS over those years, along with new material by the creators of the series!